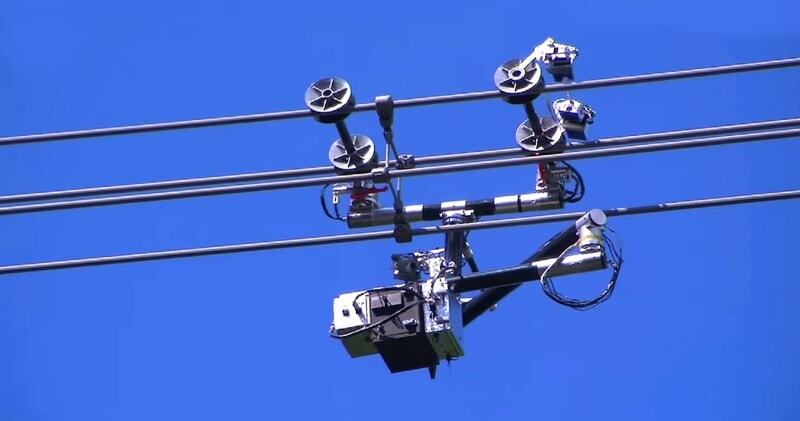 Expliner is a robot designed to perform inspection of live high-voltage transmission lines. Inspection of transmission lines is physically demanding, may affect the supply of electricity, and often puts inspectors at risk. Remote sensing techniques have been developed, such as helicopter-based cameras and more recently drones, but the level of detail is still limited. Expliner is able to overcome obstacles such as cable spacers, dampers and even suspension towers, while maintaining the operators in safety, and with no need to interrupt the transmission of electricity. With Expliner, inspection of transmission lines becomes safer, more affordable, repeatable and more precise, paving the way for predictive maintenance and better asset management.